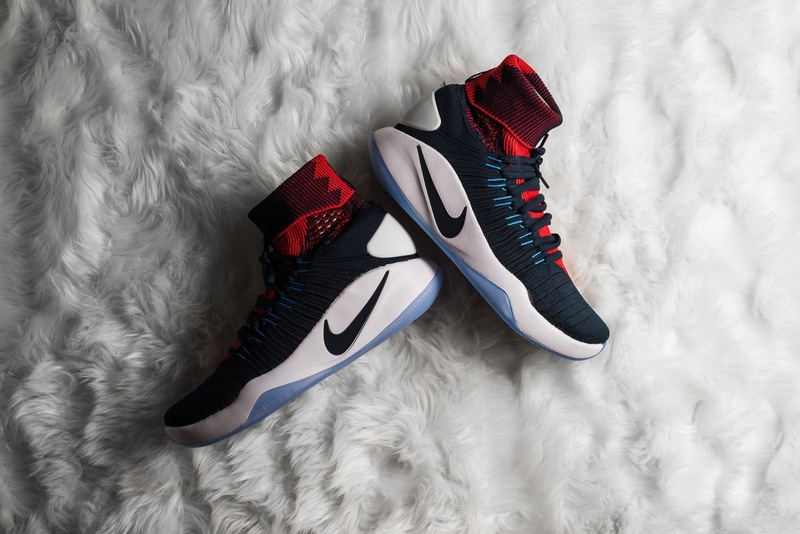 To celebrate the Summer Olympics which is taking place in a few weeks in Rio de Janeiro (Brazil), Nike brings us the The Nike Hyperdunk 2016 Flyknit USA Away edition in a patriotic-like colour scheme. Dressed in a mixture of dark obsidian, bright crimson and photo blue. 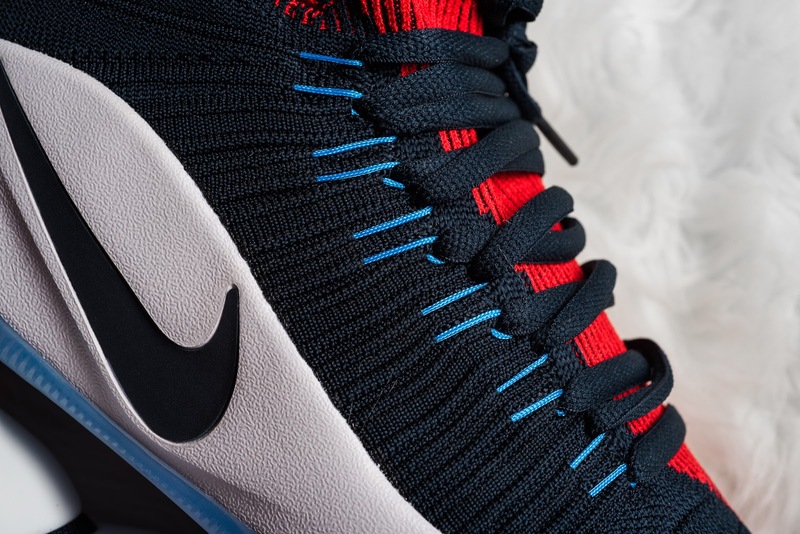 The sneaker also features large Swooshes across the heel unit, an extended sock-like collar for additional support and more blue accents gracing the flywire system. 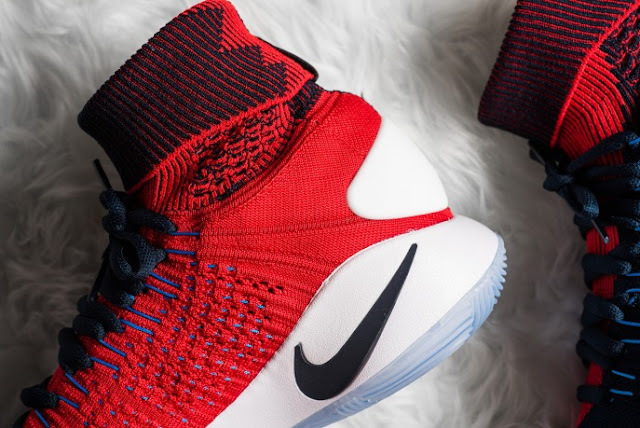 The Nike Hyperdunk 2016 Flyknit - USA Away drops today and is available at selected retailers.